Bredaquaranta is an example of the best of Italian luxury furniture. This Luxury Online Store store presents some bespoke furniture and it’s a perfect reference if you’re looking to create a luxurious interior design project. This brand has had thirty years of experience in sales projects, product and installation knowledge. They have different approaches to customers depending on each individual’s tastes and practical needs when it comes to creating solutions for home interior design. Bredaquaranta is known for their unique capacity to lead all furnishing working phases within a project. They take care of the planning and the direction of works such as selecting the materials, researching the aesthetic-functional solutions, custom-made jobs, and also the ideal final decor accessories. 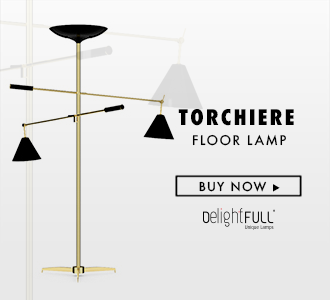 In this online store, you will be able to find the best Italian interior design brands. You can find the best high-quality luxury products from brands such as B&B Italia, Cappellini, Creazioni, Opera Contemporary and Louis Poulsen. As a matter of fact, you can also find products from other relevant international names among them Moissonnier, Terzani, Tom Dixon, I Vassalletti, Saint Louis, Riva Mobili d’Arte and Giorgetti. Fun fact: did you know that have many luxury showrooms spread all over Italy? As a matter of fact, the most relevant one is located in Milan. You can go check this space out for yourself at Via Filippo Turati, 20121, Milano (MI).